The standard Genial 1 violin is set up with Romanian Steel strings and a standard tailpiece with 4 fine tuners. To change these settings, use the options at the top of the page. To select a case and a bow go to the top left menu and choose these items independently, or you can use these links for a 1/2 violin case and a 1/2 violin bow. All items will be shipped at once, in the same package. The 1/2 Genial 1 Beginning Student Violins are a perfect choice for beginning violin students from 6 to 10 years old. 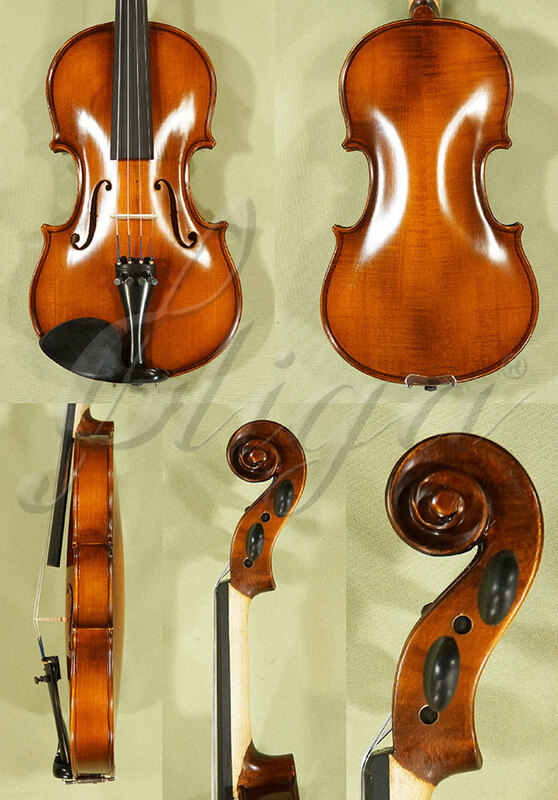 - Solid Carpathian Flamed Mountain Maple (Latin name: Acer Pseudoplatanus L.) - used for the back plate of the instruments, the neck, the scroll, the peg box, the ribs, and the bridge..
Click the button below to add the 1/2 Genial 1 Beginning Student Violin - Code C8149V to your wish list.